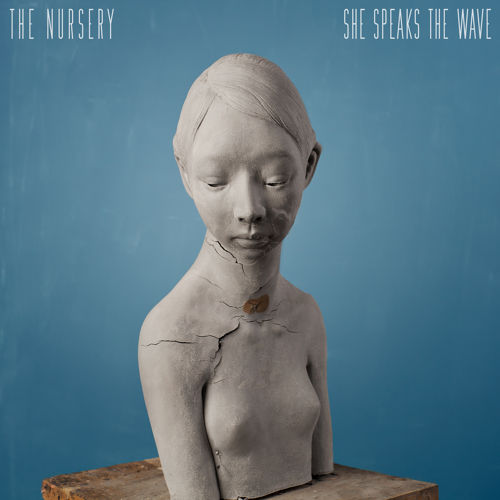 Toronto four-piece The Nursery make a super fresh version of classic new wave sound that recalls specific influences like Talking Heads, Kaiser Chiefs, Franz Ferdinand, Interpol amongst others. Now the band share two new tracks since their debut EP Carnival Nature last year: She Speaks the Wave and Hexes and O’s. She Speaks the Wave mixes sweeping electronics with surreal imagery. Fuzzed out synths and twangy guitars swell until the tension almost breaks, as if the shadow of a giant wave is growing in height, before crashing down. She Speaks the Wave is a video too: it uses a unique combination of stop-motion, time-lapse and live-action to explore notions of temporarily and ephemerality. Images of degradation and destruction are juxtaposed with rebirth and reconstruction in tranquil colour palettes create the uncanny aesthetic that challenges perceptions of time and time-based mediums. These disparate sequences fluidly merge into one another; exposing a liquid narrative that echoes both the musical and lyrical content. The video features the directorial debut of Toronto-based photographic artist, Genevieve Blais. The video’s cinematography credit goes to Alex Bros and the video also features sculpture work generously donated by Toronto artist Gosia. Hexes and O’s raises the stake: choruses, clapping, hyperactive guitars, super dance drum beat make this track a super radio hit. Funny and danceable, with Hexes and O’s, The Nursery are willing to play a deserved key role in the next new wave scene. The Nursery are on my radar. Keep eyes on them.